What Does MAMA Mean in Japanese? Here Are Four Answers! A commonly used Japanese word is まま (mama). But not too many books or courses teach what it means. So I figured I’d fill in the gap. 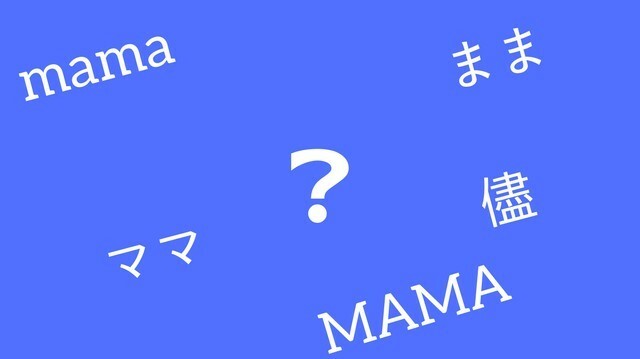 What does MAMA mean in Japanese? I’ve got four answers for you! To know which usage of the word is the one you are looking for, check out each example sentence first, then read the explanation underneath it that breaks down the usage of the word, and then see if that makes sense for you. The first one is super easy. Let’s get started! What Does MAMA Mean When Spelled as ママ? daidokoro de mama no otetsudai o shita no. The word mama when spelled in Katakana as ママ (mama) actually means mom in Japanese! It’s definitely not a common way to say it, as it has a childlike feel to it. Kind of like how in English you are much more likely to hear mom or mother, rather than mama, mommy, and the like. And in case you were wondering, yes there is パパ (papa) for daddy, papa, and so on. I sleep with the lights on. watashi wa denki o tsuketa mama neru. This usage of まま (mama) shows that you first do one action, and then while you are in that unchanging state, you perform another action. She drank wine standing up. kanojo wa tatta mama wain o nomimashita. He eats dinner with his hat on. kare wa boushi o kabutta mama bangohan o taberu. So just to clarify it one final time, first he put a hat on (this is indicated) and then while wearing the hat –> 帽子をかぶったまま, he eats dinner –> 晩ご飯を食べる. まま tells you that this first “state of being” remains in place while another action happens. Okay, I think you get the idea. Let’s continue. What Does MAMA Mean When Anime Characters Yell it? If this continues, we’re in trouble! kono mama ja, abunai yo! When used in this way, the word まま (mama) in Japanese basically means something along the lines of situation, state, condition, etc. It works as a placeholder word for what is happening at a particular point in time. You will have noticed that each time まま (mama) is used like this it is preceeded by この (kono) for this in Japanese. You can of course swap it out for その (sono) which is that in Japanese. That way (of doing it) is not going to work. sono mama ja dame da. Many times when someone in an anime yells about このまま, the English subtitles just translate it as “this.” I think it’s because saying things like “This is bad!” sounds a lot more natural in English than “This situation is bad!” even though they both mean the same thing. When Does MAMA = It’s Okay I Guess…? Sometimes you’ll be trying out your friends cooking, or reading a book that they are writing, and unfortunately it will be crap. Hey, we all gotta’ start somewhere, right? If you want to be honest about it, but also kind of gentle so you don’t hurt their feelings, you can use the word まま (mama). In this case, まま means Okay, but with a negative connotation. Know of any other ways to use mama? Let me know about them by leaving a comment below! Thanks!